A timeless favourite of young girls, women (and even boys and men), Hello Kitty is one of the most occurring images on backpacks, stickers, t-shirts. Birthday Cakes are no exception to the Hello Kitty mania. 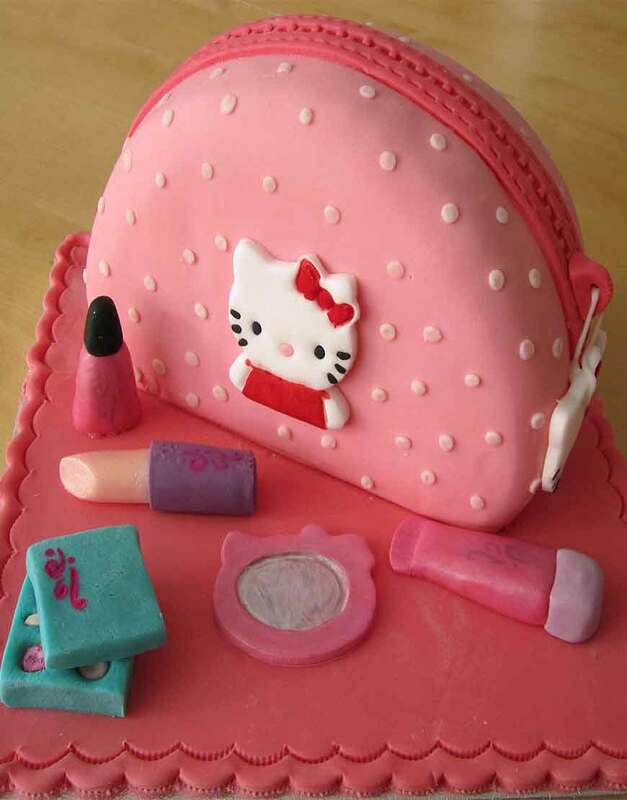 With a cute, hot-pink purse containing the image of Hello Kitty and other cosmetic accessories spread elegantly on the cake board, this cake from GurgaonBakers is sure to delight any little girl. This delightful design is greater than the individual parts and makes for an ultra-adorable birthday cake. Check out other designer birthday cakes in our gallery and make your celebrations picture perfect!